If you haven’t been playing with toys lately, I highly recommend a visit to your local store. Find the K’NEX isle and grab a few sets. I needed a way to wrap up my thoughts about these amazing toys and how those thoughts related to music, so this post has been floating around my head for a few days. Finally, the connection came to me this morning. Take a look at the instructions in the K’NEX kits. The first thing I noticed was how they focus on the end, the purpose of the assembled parts. In other words, they spend little to no time addressing the basics of how to assemble pieces. They jump right to what pieces to connect and how those few parts when connected join with other pieces that are connected to form larger, more complex components. The end is always kept in sight. Building skills are honed through a continual process of connecting with a purpose. While watching my niece, I noticed she struggled with a few basic assembly skills. However, as she continued to build, her skills improved. No words from me, no instruction…just improvement. In the end, she developed basics skills not from the act of practicing those basic skills in isolation, but from needing to use those skills to build a finished toy. She became frustrated when she could not perform a basic task, especially when she realized it kept her from finishing the kit. That frustration led to accomplishment since her sights were firmly set on her desired end result. Well….what a lesson for us musicians and music teachers. When we teach basic skills, are we focusing so much on that skill that we forget students will only see a need for that skill once they value the role of that skill in performing a final work? I say yes. Think about scales and arpeggios. Do we want kids who can play scales and arpeggios or do we want kids who can play beautiful music? Does K’NEX want kids who can put pin A into cog B or kids who can build amazing toys with real function? From my perspective in regards to K’NEX, the ultimate goal is kids who can mix a bunch of K’NEX kits together and create their own toys. In our musical world, don’t we want kids who can make beautiful music through an application of the basic skills and who will eventually create even more amazing music on their own? Back to the K’NEX instructions. What I really like about them is how they don’t use words. They show us what to assemble. They also don’t focus on timing. There is SOME linear work required, but look closely, they provide a lot of flexibility in regards to process. I think it would be awesome to give kids a project to create a K’NEX “like” set of instructions for learning a new musical composition. By color coding all scales in red and all arpeggios in green and all dynamics in blue, they could group together whole/parts as a way of learning a new composition. I would also extend this by using shapes to represent certain types of scales, so a major scale may be represented by a red triangle with equal sides and a minor scale would be represented by a red triangle with only two equal sides and so on. The instructions would look very much like those for a new K’NEX toy when complete. Anyone who gives this a try, let’s post some results….just connect with me and we can make that happen. Ideas around how to CONNECT students with music are all around. It’s our job to find those connections and learn how to use them. I saw my niece engaged with her K’NEX kits in a way that brought a smile to my face and created a flow of ideas. Developing that “wonderment” and engagement in music students is SO needed, and in my view possible with a little creativity and K’NEcting. 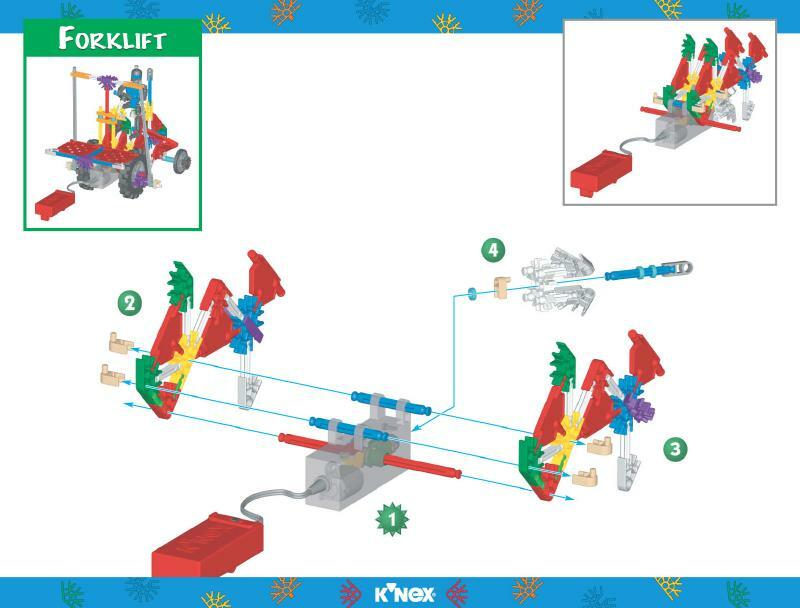 The picture above was taken from the global KNEX.com website. You can also visit www.KNEX.com for additional information on their fantastic line of construction sets. To learn more about viaAcademies, visit our website at www.MakeMusicClick.com. Our mission is to provide innovative music curriculum and professional development opportunities to students, schools and teachers. viaAcademies is a division of viaEdTechnologies, LLC, Illuminating Educational Horizons through Innovation, Creativity and Technology through the power of Partnership Working and Thinking. I received a great comment from my friend and colleague, Jerry Christy. "Timely thoughts in light of seeing Sonny Rollins and Yo Yo Ma celebrated at the Kennedy Center Honors last night. These two wouldn't ever have enough "parts" to satisfy their creative efforts. You could see the "wonderment" in their eyes as other musicians interpreted their work in new ways – passing on the wonder. And on the purely practical side of learning: I like to THINK the day's coming when we'll consciously use the power of tactile learning and make it PART of the WHOLE learning experience. "Thanks Jerry…sorry the comments didn't work for you.